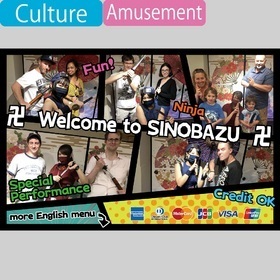 The preformance of the SINOBAZU cafe is the best in Akihabara. Only the SINOBAZU cafe can see the visual poi and the tile breaking "KAWARAWARI"! There is a live(sings and dances), too.